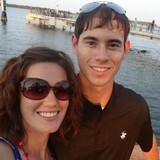 Keith McClough is the owner /operator that is always on-site to ensure a top-quality job. We have been this sure of our work since 1995, when we first started working with homeowners. 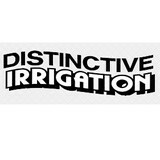 Distinctive Irrigation brings a wealth of knowledge toward the beautification of your home. Whether it be the irrigation or the complete landscaping that extends the architecture of your home, showcasing and accentuating its innate beauty. 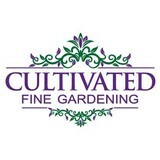 Cultivated Fine Gardening specializes in maintaining fine gardens in and around Charleston, SC. We maintain premier private gardens to the highest horticultural standards. Sod Solutions is dedicated to researching, developing and promoting improved turfgrass varieties that require fewer inputs – less irrigation, less maintenance and fewer chemicals. At Sod Solutions, we work with Universities and private breeder programs across the world to find unique turf grass cultivars that meet the needs of residential homeowners, commercial contractors, and professional sports and golf managers. We have 15 products that we believe are the best in the industry. We promote and market our grasses and control the their release to turf farms to ensure genetic purity of our products no matter where you buy them. Our Grass is Green. Ideal for home, golf, sports and commercial applications, Sod Solutions' turfgrass varieties all offer improved aesthetics, higher performance and reduced irrigation and maintenance needs. Vision Scapes offers landscaping and pressure washing in the Charleston, SC area. We have been providing Lawn Services for residential property owners with the finest in landscaping services, from design and installation to regularly scheduled maintenance. Our goal is to provide enhancements to residential properties by beautifying the landscape and surroundings. Residential Landscape Maintenance includes a regularly scheduled service on a weekly or bi-weekly basis. After removing trash, debris, limbs, and other obstructions, our lawn care specialist will mow your lawn using a mulching lawn mower, adjusted seasonally to the optimal height. Other natural or man-made features will be edged or weedeated for an overall beautiful result. All hard surfaces will be blown free of debris and weed kill will be applied to those areas. We typically do not bag lawn clippings for maintained yards, but will do so upon request. In addition to the maintenance side of gardening, Goose Creek, SC gardeners can help you with garden design and choosing specific plants and grass types for your climate and area. 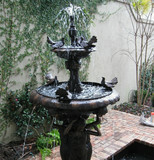 Find a Goose Creek, SC gardener on Houzz. Narrow your search in the Professionals section of the website to Goose Creek, SC gardeners. You can also look through Goose Creek, SC photos to find examples of yards that you like, then contact the South Carolina contractor who worked on them.